The awakening power of novelty may tempt us to think that consciousness is only a question of inducing external change. But inducing novelty is hopeless, for no matter how much we may try, our daily lives will quickly revert to a routine pattern of waking up in the morning, washing, dressing, eating, working and so on. How, then, can self-remembering be induced without the aid of novelty? This was the challenge Ouspensky faced once Gurdjieff taught him to remember himself. This is the challenge we face when we set foot on the path to self-consciousness. Since external novelty is largely beyond our control, the Fourth Way provides tools to help us induce self-remembering consciously. They enable us to see the nature of our sleep in a given moment and apply the appropriate conscious effort to escape it. Gurdjieff stressed, not just effort, but conscious effort. What previously came accidentally must now be brought consciously. Conscious effort implies intelligence and intentionality, exactly those characteristics lacking in external novelty. In this spirit, I would like to dedicate this month’s topic to conscious effort. 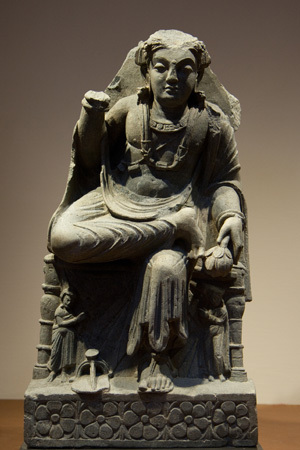 For inspiration, let us return to Prince Siddhartha’s Great Departure (read last month’s introductory post here: Gurdjieff on Liberation – Part 1). Once Siddhartha realized that he had been confined to a palatial life, he formulated the desire to depart. We take Siddhartha’s palace to represent sleep, his desire to depart to represent the desire to awaken, and his act of departure to represent a conscious effort in that direction. 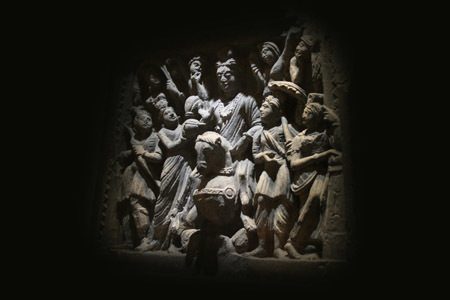 A 2nd or 3rd century Buddhist relief captures Siddhartha’s departure. The prince has mounted his horse at night and reached the gates of his father’s city, where he intends to cross into freedom. The gods surround him and witness in awe. 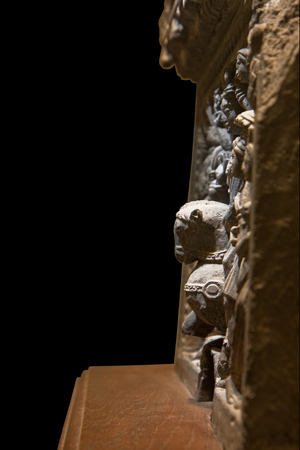 This relief adds a valuable nuance to the Great Departure: Siddhartha’s horse physically pierces the two-dimensional plane of his former world and enters a new dimension. Conscious effort adds a new dimension to the moment. We experience more than we normally would: we awaken. I invite our writers to share their experience of conscious effort; how they succeeded in piercing their two-dimensional sleep; the nature of that effort, how it suited the circumstances at hand, and how it elevated them into a new dimension.